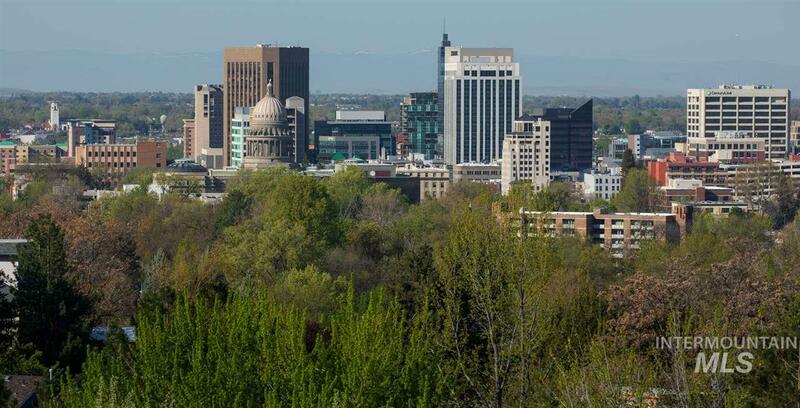 All Boise homes currently listed for sale in Boise as of 04/21/2019 are shown below. You can change the search criteria at any time by pressing the 'Change Search' button below. If you have any questions or you would like more information about any Boise homes for sale or other Boise real estate, please contact us and one of our knowledgeable Boise REALTORS® would be pleased to assist you. "Nothing quite compares to this oasis of comfort lodged at the edge of adventure on Boise's East Ridge. Perched above Idaho's high-desert, urban capital, this secluded retreat will protect, inspire, enlighten & fulfill. Boise's central core is just moments away from this exquisite sanctuary of stone, wood, air, & water. Nature built the base, ingenuity added the comforts, & you can add the life while soaking up this magnificent home's energy. 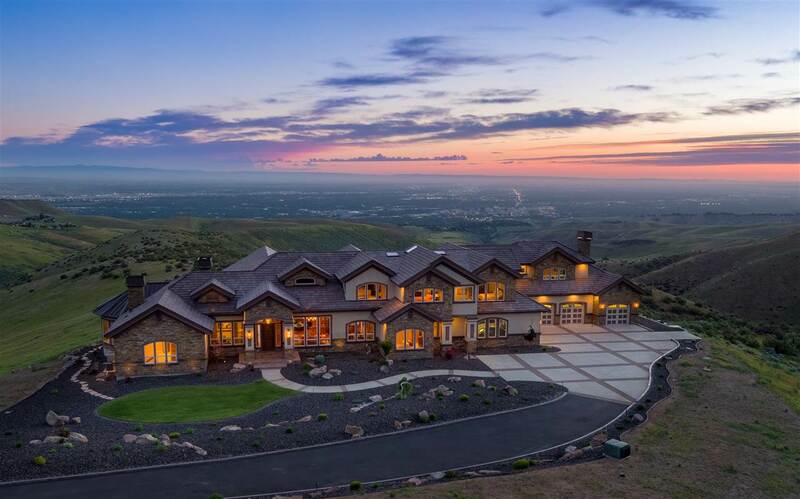 60-acre private preserve surrounds this unique visiona"
"Only 15 minutes from downtown Boise. This grand scale luxury residence is oriented to maximize panoramic views of downtown Boise, the Treasure Valley & surrounding foothills. Set behind private gates on Wildhorse Lane, this home offers a dazzling array of luxurious finishes that set the standard for an active & sophisticated lifestyle. Master craftsmanship exudes from the meticulous woodwork & finishes throughout. 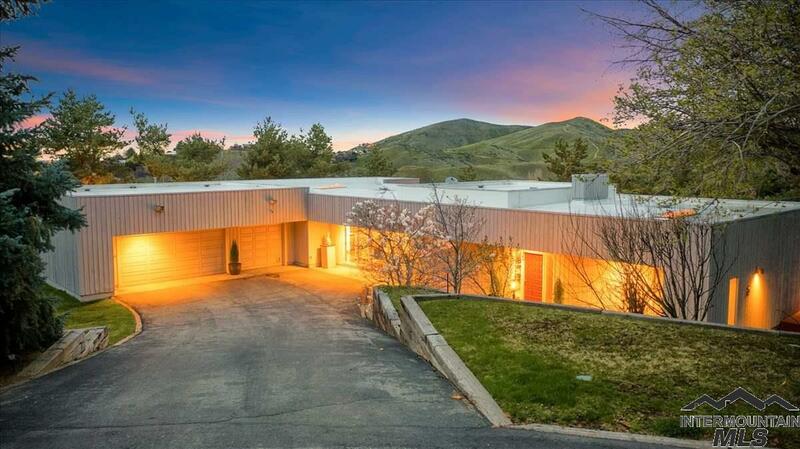 This is the opportunity for the buyer who demands the finest view property in all "
"Originally built in 1959 for the Dallas Harris family, this extraordinary MCM residence was appointed to overlook the ranch. Since then, it has been thoughtfully restored & impeccably upgraded. 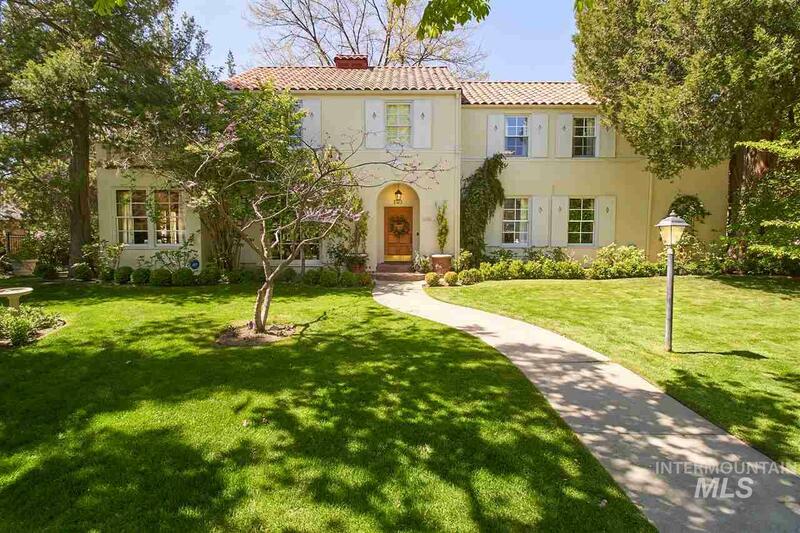 Gated & concealed from street view, the property affords tremendous privacy. Filtered light dances on tranquil ponds along the entryway, leading guests to the front door. 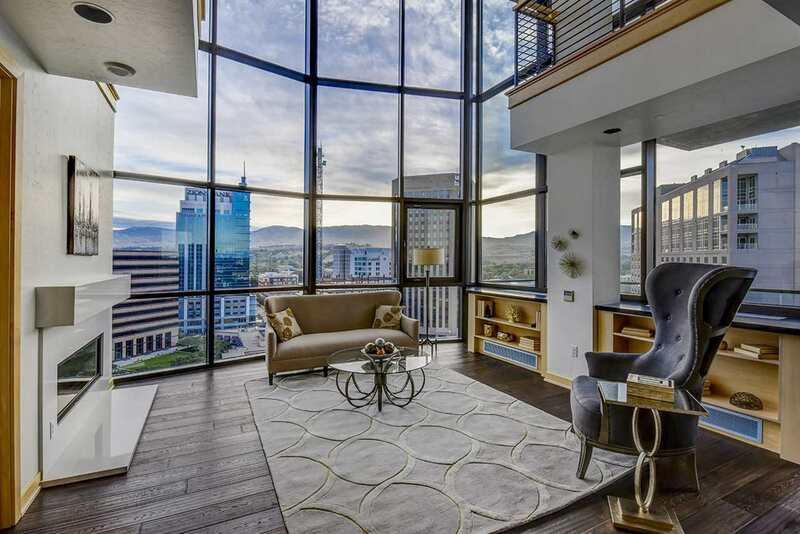 Upon entry, indoors & outdoors become one through plate glass windows & sliding glass doors encasing the perimeter of the main entertai"
"Both dramatic, and low maintenance, this stunning high-rise condominium in the heart of downtown Boise is a one of a kind residence. Two levels of commanding airspace with floor to ceiling views. The gallery entry is the perfect place to showcase your personal collection. 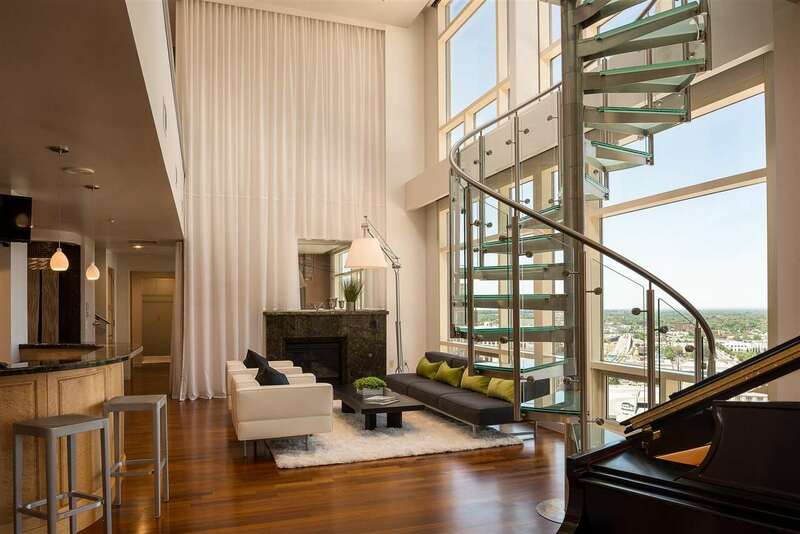 Two-story glass living space opens onto the spacious east-facing patio. Open kitchen, perfect for entertaining. Spacious living rooms, comfortable retreats, downtown at your doorstep; truly special lifestyle property. Appointme"
"As the prestigious owner of this new home, you'll be sure to enjoy the unparalleled front-row views of the Boise skyline with breathtaking light shows at sunrise and sunset. The wonderful location offers privacy at the end of a no-through street and easy access to downtown Boise. Three car garage, no HOA dues or assessments, impressive architectural design and quality finishes throughout. If you want the best, this is it. Treat yourself to something special. See this property today." "A Somerset Ridge Classic! Masterful design & modern luxury are uniquely embodied in this 5 bed, 5 bath home. This one-of-a-kind property boasts breathtaking views of the city & mountains. The open floor plan allows for entertaining in grand style indoors while opening up the home to the awe-inspiring outdoor living space with built-in kitchen & fireplace to enjoy beautiful sunsets. Highlights include travertine stone fireplace, Carrara marble, custom cabinetry, private theater Room, wood windows"
"This condo is simply beyond compare. The V plan offers incomparable views, incomparable amenities, and incomparable living space. This is the only true 3-bedroom condo at Crescent Rim. Superior downtown views and an eastern orientation continue to set this beautifully designed condo apart. Upgraded features include a wine room and an enormous master walk-in closet with direct access to the laundry. The V takes its place as one of our 5 premiere view condos - another one-of-a-kind at Crescent Rim"
"Live above it all! 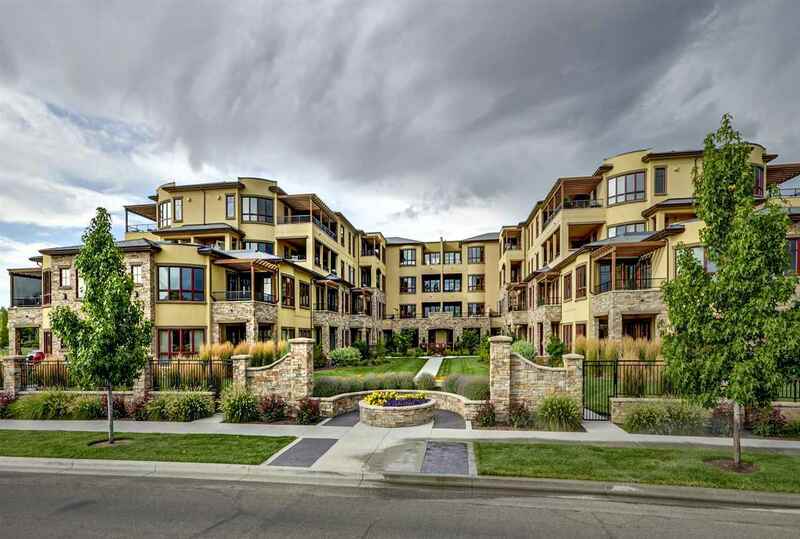 Enjoy the 2-story floor to ceiling views of Northwest Boise from the 16th and 17th floors of the Grove Condominiums. Ideal for the grandest and most glamorous entertaining, the condo is also perfectly suited to a life style with family and guests. Two master suites, guest suite, sitting room, and an expansive chef's kitchen are complemented by Brazilian Walnut floors. State of the art sound and media systems create a sense of luxury and sophistication." "A Country Paradise located in Hidden Springs valley offers best of both worlds only 20 minutes from downtown, 40 minutes from airport, 20 minutes from 2 golf courses, 60 minutes from ski resort & is located amongst Boise s favorite biking & walking trails. Country store, restaurant and neighborhood school only a half mile away in Hidden Springs. This peaceful, private acreage home is an award winning design (Life Magazine Dream Home Design ) with high end craftsmanship by renown"
"Welcome to this peaceful tree filled oasis situated close to Boise State University, downtown, golfing and shopping. Close access to I-84. Opportunity awaits for either a remodel or a tear down and start from scratch building the dream home one desires. 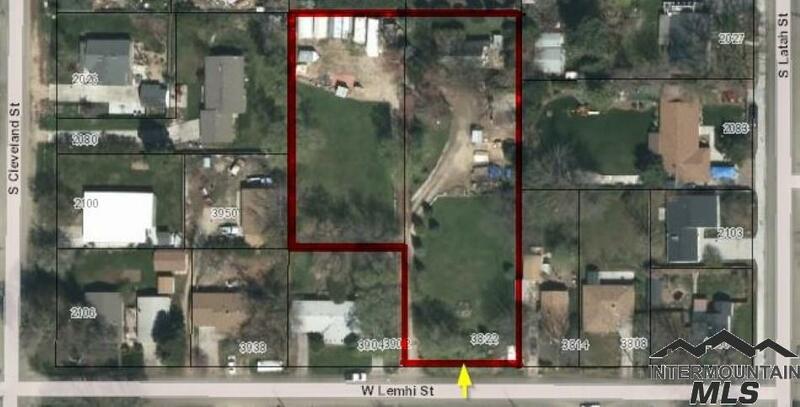 Rare opportunity to purchase a 1+ acre lot found in the wonderful City of Boise. Sewer is stubbed to the lot line, so no need to deal with a septic system. Let peace and tranquility embrace you as you enter your quiet domain." "Historic English Tudor with a welcoming floor plan and beautiful oak floors throughout. The main level includes an elegant, high coved ceiling living room, a home office and a completely renovated gourmet kitchen with new cabinets, granite counter tops, a Dacor range and Subzero refrigerator. Upstairs are 3 spacious bedrooms and 2 baths, including a master suite and bath. The private backyard and patio with raised garden beds is perfect for entertaining. 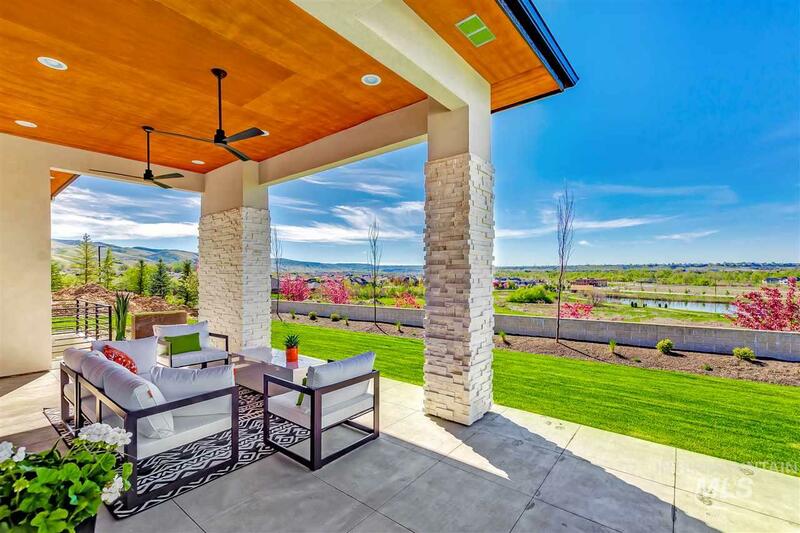 Newly constructed two car has finished ro"
"A secluded private estate favored Highlands location set amid tall pines on nearly an acre overlooking Crane Creek Golf Course and downtown Boise! Lodge-like feeling complimented by massive beams and soaring wood ceilings that add to the feeling of size and space of the open main living area. Perfect for entertaining seamless flow from the sleek kitchen and huge dining space to the outdoors. 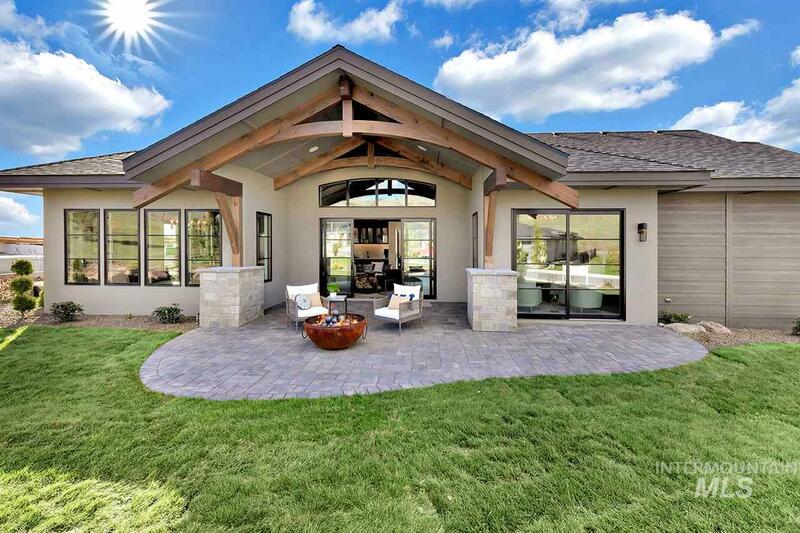 On cooler evenings gather w friends and family around the firepit or imagine the fun "
"Parade of Homes 2019! 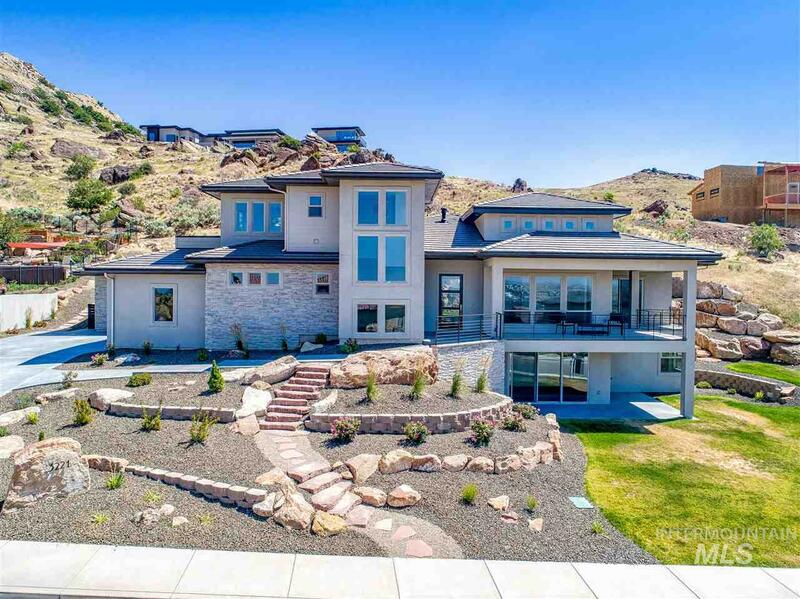 This Conner Construction single level is a one of a kind Mountain Modern design by architect Jim Glancey. Nestled against the community park in Highlands Cove with foothills views in the distance, this quiet cul-de-sac location is perfect. Spacious rooms, clean lines and wood timbers accent the vaulted ceilings and the exterior roof peaks. Lovely courtyards offer seasonal retreats to enjoy glorious sunsets or the morning sunrise. Three bedroom suites & a private office, 896"
"European architectural design: Gorgeous and Elegant home.. Formal areas for entertaining, yet cozy spaces for easy living. Beautiful yard in the spring with fountain and brick patio.. Luxurious master suite with sun room All bathrooms have been redone and are beautiful Balcony off one bedroom upstairs Temperature controlled wine cellar large storage area with work bench geothermal heat This home has many options : Make it yours !" 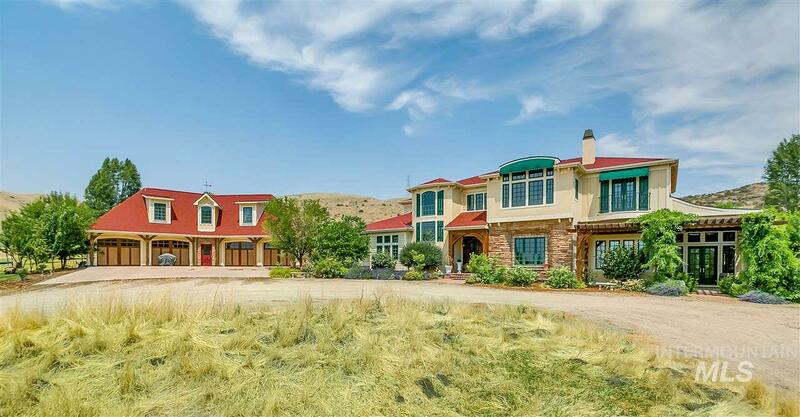 "A rare 5 acre property, close to town with panoramic views of the foothills and Bogus Basin. - it's comfortable, practical, and luxurious all in one package. Heated floors in the master bath, hand-scraped walnut floors, custom-built cabinetry, gourmet kitchen, two master bedrooms, cathedral ceilings and stone finishes. It features a huge shop with car lift, acreage with water rights (could be horse property), swimming pool, 1300 sq ft office with separate entrance permitted for home occupation." "Elevate to the lifestyle you deserve-surrounded by city lights, views & rich sunsets in a boutique setting at Privada. Stunning modern design, this is a one-of-a-kind home inspires resort-style living: walls of windows, 16' ceilings, sliding glass patio doors, gourmet kitchen, an amazing master suite & rear rooftop sky-deck! Seamless indoor-outdoor living & rear covered patios offer endless entertaining options. Main-level guest suite & flex area. Ideal location near the Boise River & Downtown! " "Beautiful countryside waterfront, 20-acre horse property (4 water rights) located in the Boise foothills minutes from downtown. This timelessly inspired French Chateau features a grand entryway, elegant interior finishes, & a gourmet kitchen designed for a true chef! Entertain your guests beneath soaring Venetian tiled ceilings or among one of the charming outdoor sitting areas. Plenty of room for guests: massive master en suite, main level guest suite, & fully renovated M-I-L quarters over gara"
"Rare NEW foothills home move in ready today! Located in the majestic foothills of El Paseo with extraordinary views of the city lights below. No traffic Cul-de-sac with the Boise foothills literally out your back door. Open great room with main living areas and M/bedroom on main level. Secluded back patio, large windows and covered decks. 2nd Master suite/office & large garage. Close to Downtown, St. Lukes Medical Center. Boise river, golf course. Quality Construction by Boise's foremost foothil"
"FIRST TIME ON MARKET!! Entertainers delight in this fabulous updated home on Boise's finest Ave. Built in the early 1920's w/ real attention to detail, beautiful woodwork & high ceilings. Spacious living and dining areas with oversized windows & hardwood floors. Chef's kitchen with Viking range, granite & Subzero fridge.Deluxe master suite with lots of tile, jetted tub, large walk in shower and dual vanities. The 1/3 acre corner lot and sunken patio are perfect for gatherings. This is a real s"
"Just Completed! 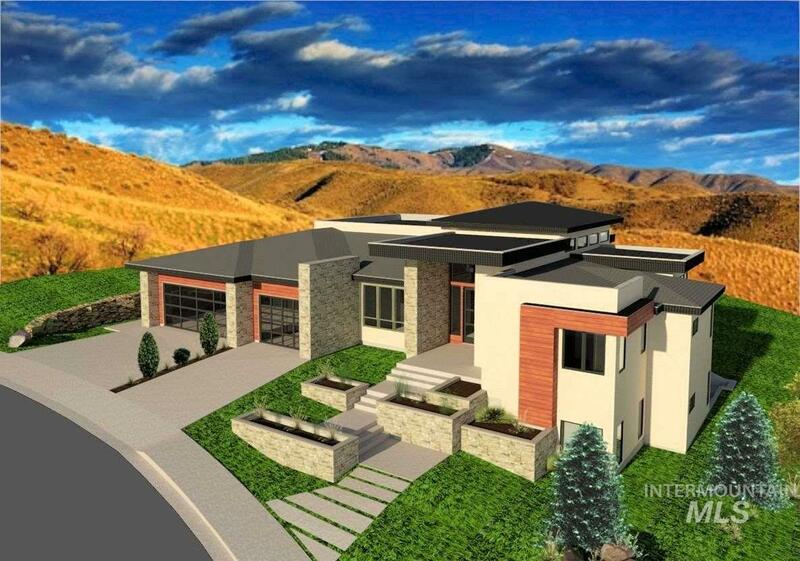 With alluring architecture & perfectly appointed finishes, this New Stunning Modern Residence radiates luxury living & showcases sweeping sunset views of the Barber Valley & East Boise Foothills. Designed for entertaining w more sophisticated finishes & upgrades as standard. Walls of windows magnify gorgeous in/outdoor living spaces w natural light. Thermador appls, sleek porcelain/quartz surfaces, rift-cut frame-less cabinetry & more. 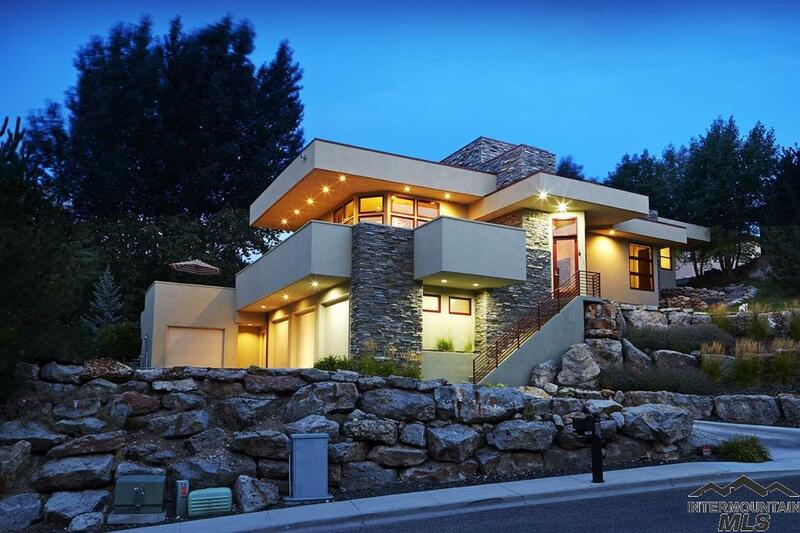 Walk to the Boise River, the Greenbelt & Bow"
"Extraordinary modern home w distinguished architectural appeal. Abundant windows compliment the design and shower the interior w natural light and provide spectacular views of the valley, hills, and gorgeous sunsets. The sleek gourmet kitchen is the heart of the home and an entertainer s dream w all the amenities you d expect and more. Multiple decks and a glass and aluminum roll-up door bring the outdoors in and makes this home truly something special. 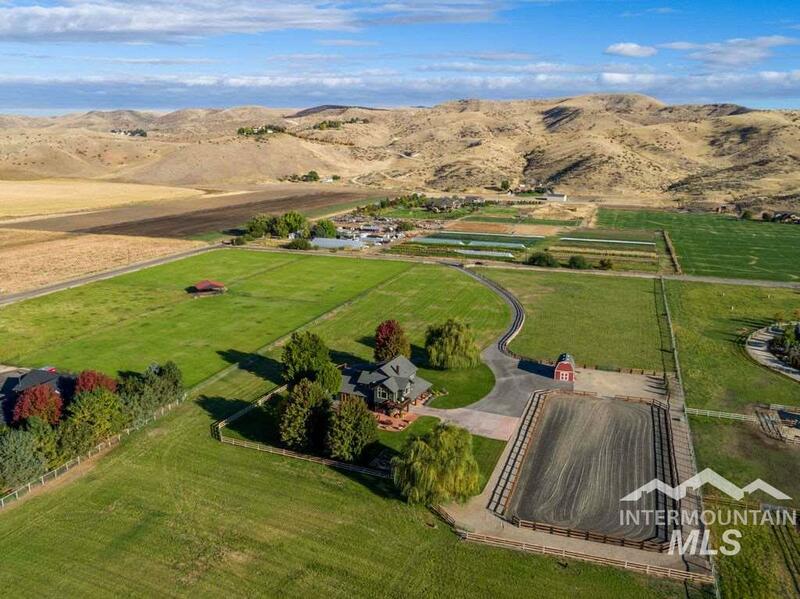 A word of caution.Your guests ma"
"Beautiful fully irrigated recreational estate located on the edge of the foothills in North Boise, ideal for either the outdoor or horse enthusiast. Showcasing a large riding arena, 3 separate grazing pastures, a barn-style storage shed, & 360-degree views with ample space for outdoor living. The custom home highlights hardwood floors, vaulted wood ceilings, & reclaimed wood. One of the focal points of the home is the open main living area featuring a wood-burning fireplace with a river rock sur"
"Incredible opportunity to own unique North Boise home w/ mid-century flair! Exclusive lot, nearly an acre, overlooks Hulls Gulch/Camels Back Reserve and Valley. Constructed by award-winning builder Ray Berhman, this home connects to nature w/ open design concepts and extensive use of glass. Ample access to expansive wraparound deck. Parquet floors, wood-paneled feature walls, solid beamed ceilings along w/ 3 wood-burning fireplaces are just a few of the original design features that have been pr"
"Artistically designed & influenced by Frank Lloyd Wright, this residence offers a peaceful & private lifestyle just minutes from town. 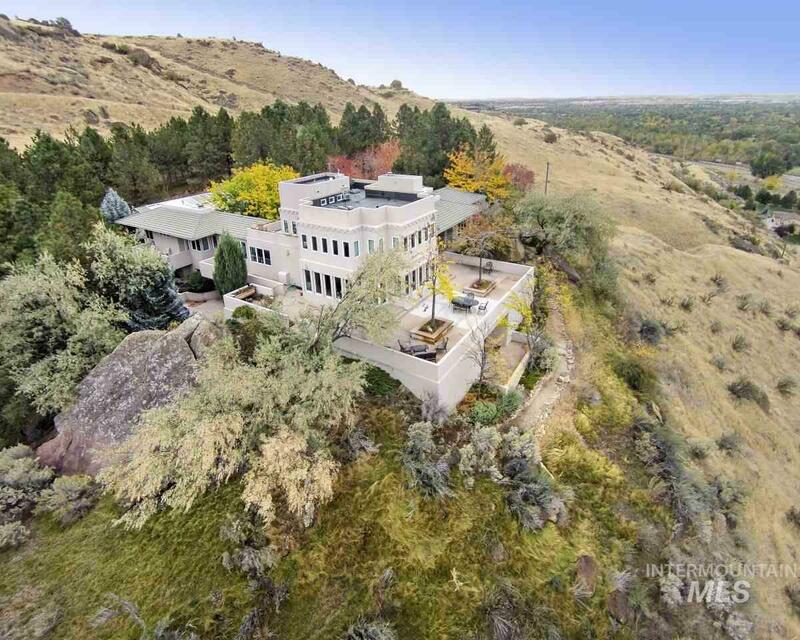 Located in the Boise foothills, the home was created consistent with Wright s principle of designing a home to conform to, and be shaped by, its site. Quality construction utilizing concrete, stucco & steel. Top of the line interior finishes; radiant heated concrete & tile floors, quartz/Silestone, exquisitely designed bathrooms & custom created glass blown "